UPDATE: Oxegen 2014 is cancelled. More details here. Oxegen 2014 will take place this summer at Punchestown Racecourse, co. Kildare during the August Bank holiday. David Guetta, Pitbull, Calvin Haris and Snoop Lion were some of the names on the Oxegen lineup. More than 50,000 people attended the festival in 2013. Rumors have already started to appear regarding the Oxegen 2014 Lineup. Who do you think will headline Oxegen 2014? A poster for Oxegen 2014 started spreading on Twitter. As it turns out it’s fake. We haven’t been able to identify the source of the image as so many people tweeted the image. There hasn’t been any official release regarding this year’s lineup, but that’s no reason not to start guessing. 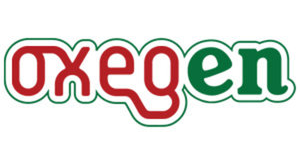 Who is going to be on the lineup for Oxegen 2014? Let’s make this interesting: use the form below to tell us who will headline Oxegen 2014 and, if you’re right, you will be in the draw for a cool surprise prize. Who will headline Oxegen 2014? One entry per email address only. Entries with more than one artist/band will not be included in the draw. For multiple entries from the same email address, only the first one will enter the draw.